The Department of Anthropology offers a master's degree in applied anthropology. While our main goal is to prepare students for employment outside academia, they will also be well qualified for transfer to a doctoral program. Students will be prepared to apply anthropological knowledge in private and public sectors, foundations, and businesses in local, regional, and international areas. The central goal of UNT's Master in Applied Anthropology program is to provide graduates with the knowledge they will need to undertake informed and thoughtful action, whether as street-level practitioners, administrators, agency-based researchers, or program evaluators. While students are not required to choose a specific track in the graduate program, the department offers several areas of interest. Please view our faculty directory for more information about individual faculty members. Christina Wasson, and Susan Squires specialize in this area. It includes the areas of organizational analysis and change, teams, user-centered design, marketing, communication in the workplace, human-computer interaction, consumer behavior, diversity and globalization. We work with both the private sector and the not-for-profit sector. The Dallas-Ft. Worth metroplex offers opportunities for partnerships with a wide variety of organizations. Alicia Re Cruz, Doug Henry, Adam Dunstan, Andrew Nelson, and Mariela Nuñez-Janes represent this area. Topics covered include the situations of migrants and refugees, religions and cultures of immigrant groups, and experiences of migrants to the United States. In this field, students have local access to the people and issues typical of a border state like Texas. Lisa Henry, Doug Henry, and Beverly Davenport specialize in this area. Topics include public health, healthcare delivery, indigenous medicine, and the health issues of ethnic minorities, migrants, and/or refugees. Students have access to the affiliated UNT Health Science Center at Fort Worth. In addition, the DFW area provides innumerable opportunities for students interested in the health issues of ethnic minorities, migrants, and/or refugees from all over the world. Mariela Nuñez-Janes and Alicia Re Cruz represent this area. It focuses on understanding various aspects related to the educational process. It explores the connection between culture and education in a variety of contexts paying particular attention to concerns related to teaching and learning. Both faculty members focus on the challenges of bilingual education. Adam Dunstan and Jamie Johnson represent this area which includes community-based conservation of natural and cultural resources, cultural landscapes/seascapes, indigenous peoples and protected areas, spiritual ecology, traditional ecological knowledge, human ecology, sustainable development, ethnoecology, political ecology, environmental justice, world views concerning the environment, and globalization and environmental policy. Students take 2-3 electives in this field, and one of their committee members, who must come from outside of anthropology, typically represents this field as well. The reason we emphasize a second discipline is that the various institutions in which applied anthropologists work all have their own forms of knowledge. Students will be better prepared for jobs if they have prior exposure to those traditions. Our department emphasizes the practical use of anthropology to solve problems and improve people's lives. All faculty members are applied anthropologists. The geographic focus of our faculty includes Africa, Oceania, North America, Latin America, South Asia, the Middle East, and Europe. The department is uniquely situated in a school of applied social sciences. 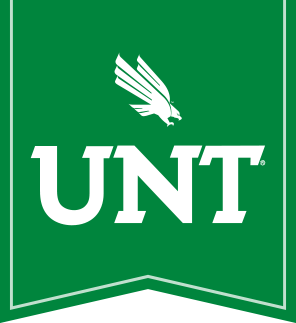 UNT is located in Denton, Texas, 30 miles north of both Dallas and Ft. Worth, well within the DFW metroplex. Students are able to draw locally on one of the largest urban areas in the U.S. for applied projects. The faculty are actively engaged in building networks around the diverse applications of anthropology in North Texas. We collaborate on projects with a variety of local organizations, from corporations to social service agencies. We were the first to offer an online master's program in anthropology in the United States.